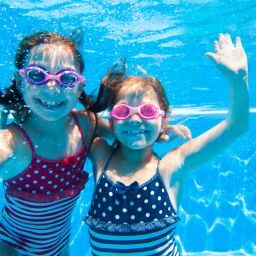 In Atlanta, your inground pool is a center of activity for you, your family and friends all year. To keep your outdoor social space fresh, turn to Atlanta Outdoor Designs for all your pool remodel and pool resurface needs. Our expert staff has been helping transform inground swimming pools for years. For three generations, employees at Atlanta Outdoor Designs, Inc. have helped metro Atlanta homeowners build, remodel and upgrade their pools and outdoor spaces. Over the past 20 years, we’ve won multiple awards for our more than 1,200 pool projects. Let us add a splash to your outdoor space. Whether you are looking to reline or remodel your pool, a new look will dazzle and delight users. In addition to pool work, we offer a full range of other design elements that can help change the way you use your space. 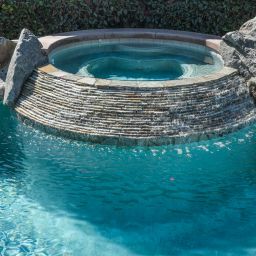 Pools need to be remodeled or redesigned for any number of reasons, including materials such as liners and decking that wear out; system components such as filters, pumps and plumbing that need to be modernized; existing designs do not meet the needs of new homeowners; or the old pool has become boring. 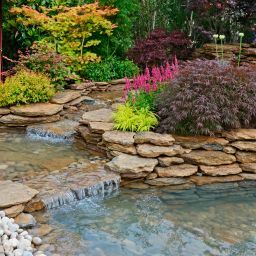 We can also add water features such as a waterfall or water slide that adds a dramatic feature to your property. Interested in changing your pool’s depth or adding a swim-up bar for entertaining? We can accommodate all of your ideas and budgets. 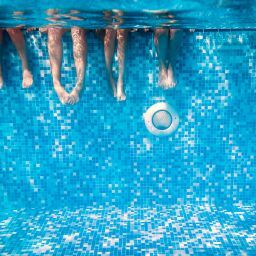 We can install upgrades to the pool equipment that save you time and money, including energy-efficient components, automation controls, automatic cleaning systems, pool alarms, safety fences, and pool covers. We work with a variety of materials and styles for your deck surface, including poured concrete, decorative concrete, pavers, stone, cantilevered, rolled edge, bullnose and rough-cut designs. With our years of experience, we have repaired and replaced a full range of pool-related elements. Avoiding necessary repairs can become costly when systems fail. Emergency repairs can have cascading damaging effects. With new systems, you save on repair and monthly maintenance costs. When you’re looking to dive in to a pool renovation or remodel for your Atlanta, GA home, turn to Atlanta Outdoor Designs, the proven experts in giving pools and yards a whole new reason for putting on that bathing suit.